If you use Apple's free iCloud service, and you've added calendars to better organize your events, you may want to make one public or share it completely. For example, if you manage a club or league, and want other members to be able to view it as well, but not edit it like they could a shared calendar, a public calendar is the way to go. If you're planning a trip or maintaining a work schedule, and want other people to be able to not only view, but add and edit events, then a shared calendar is the way to go. Tap on the Calendars button on the bottom navigation. 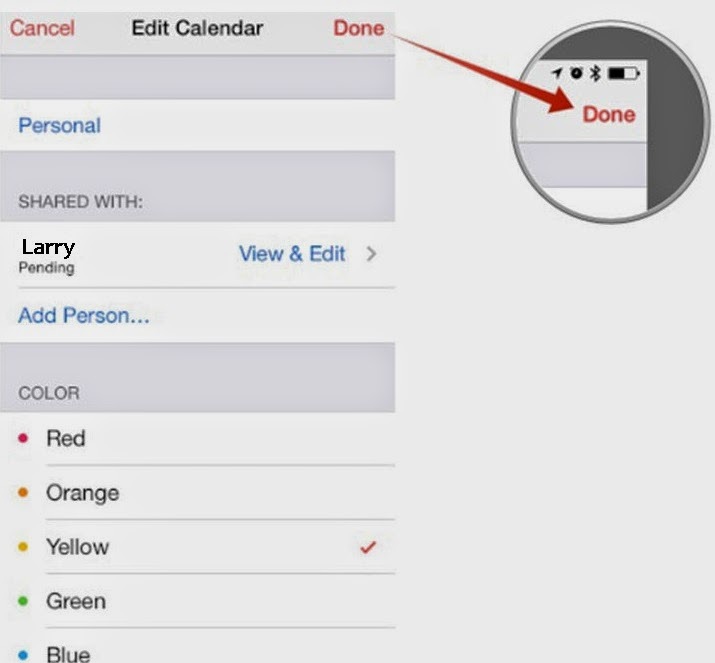 Tap on the Info button to the right of the calendar that you'd like to make public. Scroll down and turn On the option for Public Calendar. Tap on Share Link... to share the calendar with others. 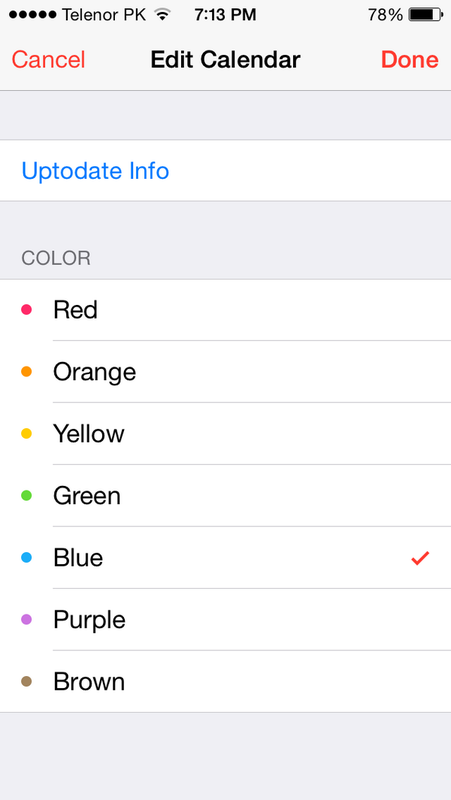 That calendar will now be shared publicly on Apple's calendar site. Anyone and everyone who knows where to look will be able to see it, but not edit it. If at any time you decide you don't want to share that calendar any longer, repeat the same as above, just turn the public calendar option to off. Tap on the Info button next to the calendar you'd like to share. Tap on the Add Person... option under the Shared With section. Add the people you'd like to share the calendar with and tap Add. The calendar will now be shared with everyone who's iCloud account you've added. They'll simply receive a calendar notification asking them to accept your invite. Once they do they'll be able to view events and edit them. 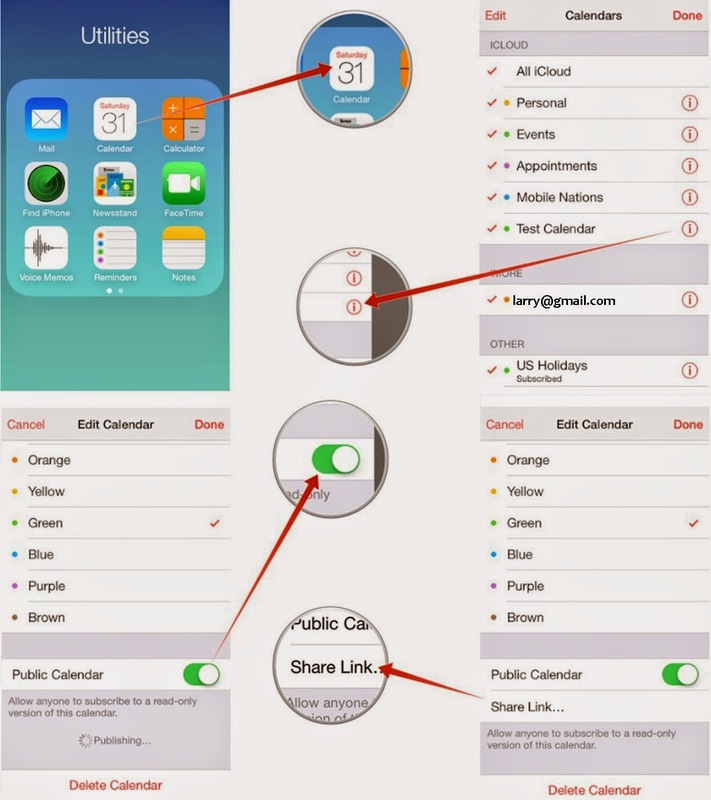 Remember, calendar sharing currently only works with iCloud calendars. 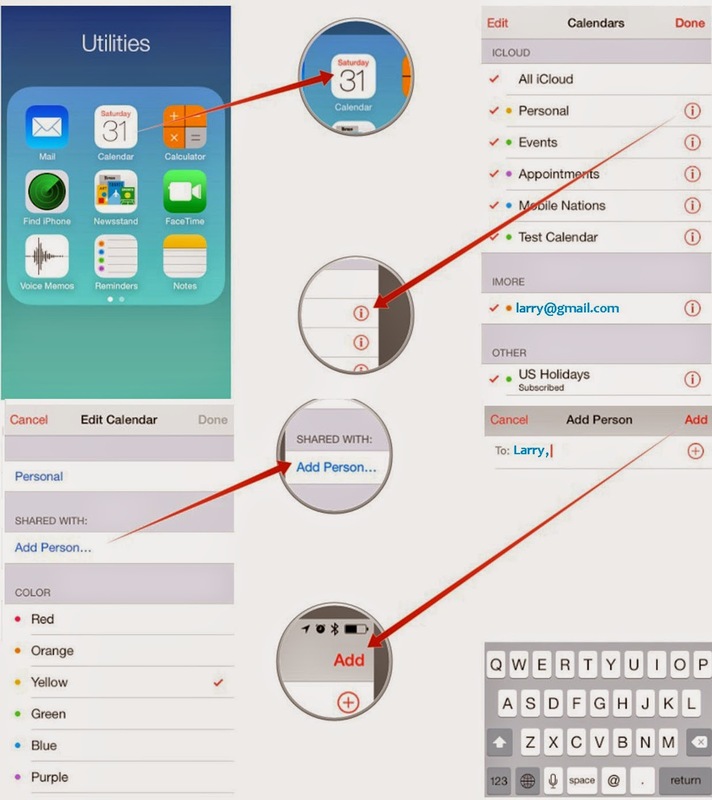 Both you, and the person you want to share the calendar with, have to be using iCloud.